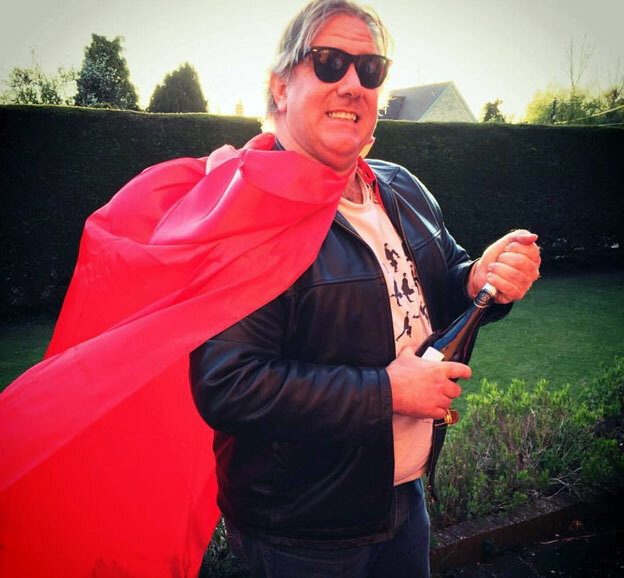 Any keen and diligent readers of this blog will no doubt remember last year, when I was given the opportunity to write about the utterly splendid Drinks By The Dram Whisky Advent Calendar. It’s a truly wonderful product, which ties up the three concepts of having an opportunity to try a selection of different high quality whiskies without breaking the bank, sampling whisky from a diverse range of styles you might not necessarily naturally think of, and getting a nice little surprise each day. 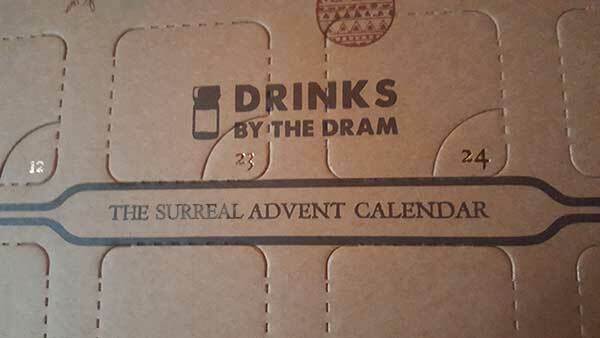 The format was familiar, to be sure – but what could they possibly mean by “The Surreal Advent Calendar”? Last year’s calendar held 24 different tasty samples of whisky – ranging from classic well-known and loved household name single malts, to quirky new craft distilleries, some very, VERY tasty blended whiskies from both famous blending houses and more bijou specialist outfits, and there was even an incredibly old single grain whisky in there as a Christmas bonus! What would this year have in store? 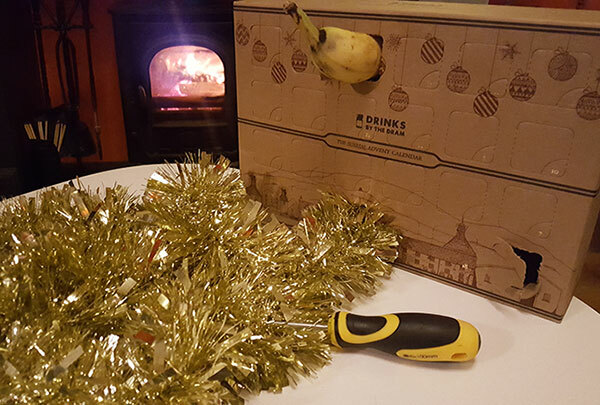 Based on last year’s calendar I half-expected a sample of some sort of incredibly rare blended whisky – perhaps made from specially selected casks from some now-closed distilleries… But behind door number one was: TINSEL. 2 metres of the bloody stuff. I guess tinsel’s always handy – especially around Christmas time. Didn’t seem particularly surreal, now I think of it. But it did give me some appetite to popping door number 2. A flathead screwdriver?! I can’t help but think Drinks By The Dram have steered a little bit off-brief with this calendar. I mean, I know I chose not to go for a whisky one. If I had I’d probably have been enjoying a dram of some sort of lovely spicy sherry-casked Speyside whisky by now: an ideal whisky for this time of year! But no… I’m the proud owner of a new tool. Don’t get me wrong – it’s a lovely screwdriver. I guess I didn’t know what to expect. Hey ho. But surely there’s got to be some booze in here somewhere, right? Maybe door 3. OK, that does it. A nice 30mL sample of some delicious youthful yet sophisticated whisky from a burgeoning farmhouse distillery on Islay (for example) would have been just the ticket by this point in the evening. Instead of a banana. But apparently this version of the calendar doesn’t work like that. My attention was momentarily caught by a sound – I held my ear up to the box, and inside I could swear I heard the rapidly approaching sound of horses’ hooves. This had potential to get quickly out of hand. There was only one solution. Sorry Surreal Advent Calendar, you were just too weird for me. I don’t even like bananas that much. Why oh why didn’t I go for one of the many other calendars they do – be it Whisky, Premium Whisky, Old & Rare Whisky, Single Cask Whisky, Japanese Whisky, Irish Whiskey, Gin, Rum, Bourbon, Tequila, Mezcal, Cognac, Armagnac, Absinthe or Vodka. 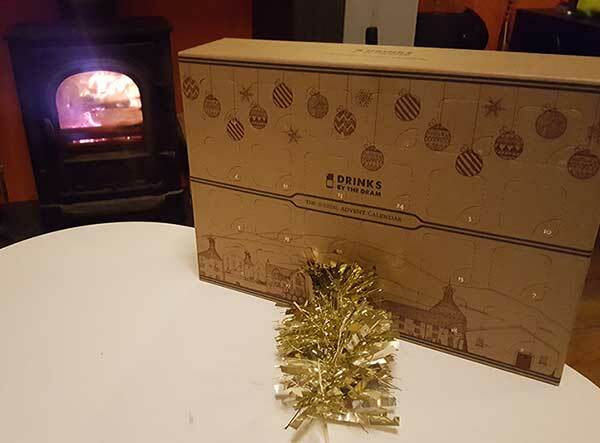 Or, Drinks By The Dram’s sister company That Boutique-y Whisky Company had their own advent calendar as well – which I even saw at a whisky festival a few weeks ago! Looked ace! I guess the important thing is that those other options are all still available from a number of good retailers (including from the magnificent chaps over at Master of Malt). 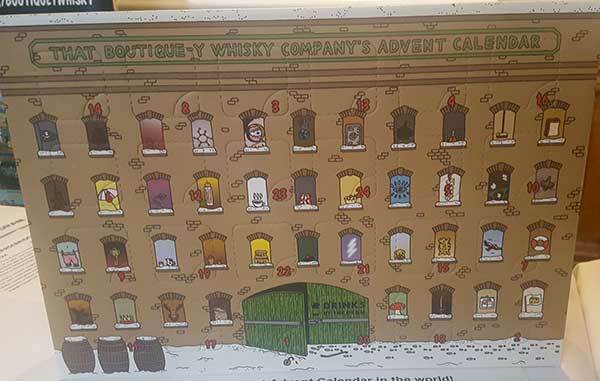 They’ve even (this is awesome) got a Glenfarclas Advent Calendar: 24 distinct and different expressions from one of Speyside’s most distinctive and well-regarded distilleries. 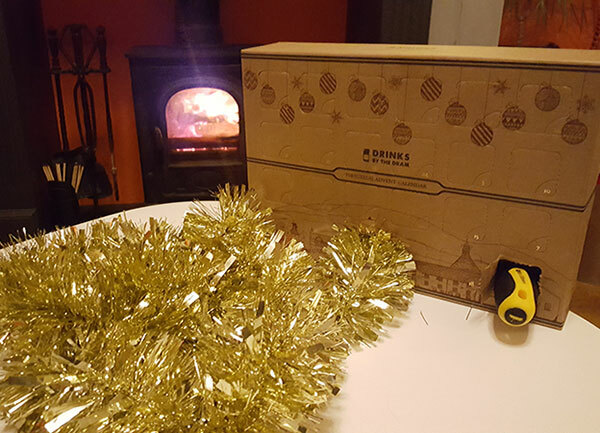 I realise we’re a few days into December as I write this – but it doesn’t really matter… these great boxes are still very much available, and I think they make a particularly excellent gift; advent or otherwise. 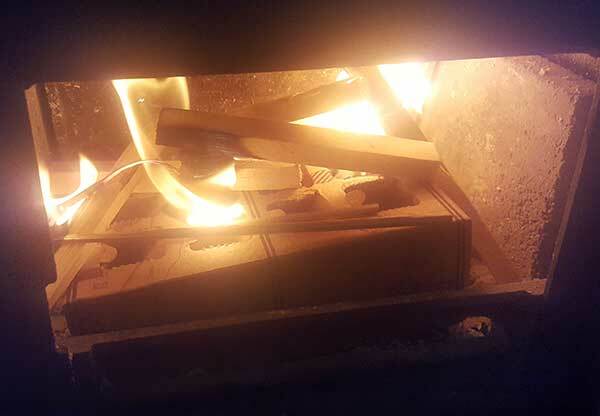 They’re made out of a quite sturdy and recyclable (and, as it turns out, handily flammable) cardboard, so you could get a marker pen out and use the little doors as a sort of encouragement to teach your burgeoning computer science student pal how to count to 30 in base-8. For instance. Look, the point is… well, I’m not sure I know the point any more. Buy an advent calendar. Get one with whisky in. Not bananas and screwdrivers.